Yoga is always to be practiced in an open and friendly environment. This is why the Yoga classes and studios always value every individual in the group or batch. 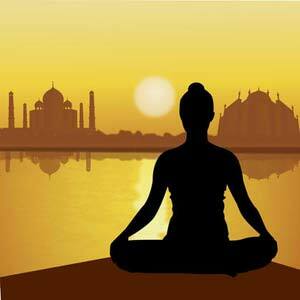 To make things pleasant for everyone, they suggest some basic yoga etiquettes to all. These yoga etiquettes based on common sense and courtesy helps everyone feel comfortable in new environment. Whether it’s a beginner or a person who is attending his hundredth yoga class, everyone needs to experience an enjoyable and stress-free environment. Before laying down the guidelines of proper yoga etiquette, one has to understand that Yoga classes are different than aerobic classes as the yoga sessions involve certain breathing exercises or pranayamas which can easily be disrupted by some unlikely behavior in the class. Try and arrive in the class 5 to 10 minutes before and relax on your yoga mat. In case, you get delayed due to some unavoidable circumstances and the class has already begun, enter it as quietly as possible without disturbing the concentration of others or grabbing their attention. Always remove your shoes before entering the class. Most of the yoga studios have a place for your shoes by the front door, keep your shoes there itself. Never ever enter the studio floor with your outside shoes as most of the time yogis will be spending time there. Switch off your mobile and try to be as quiet as possible when instructions are being given in the class. Never ever wear put on perfume, oil or deodorant which has a heavy smell, fragrance or aroma in the class as yoga sessions deal with heavy breathing. Avoid wearing jewelry in classes, especially the ones which make noise. 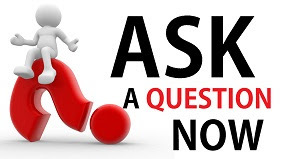 Do not ask questions frequently and try to avoid long questions long. But do ask so that everyone can learn with you. Always respect your teacher. Even if you don’t like their attitude or way of teaching, don’t show disrespect by making faces etc. Try and not to watch others during the yoga sessions. Some people find it uncomfortable if anyone except the teacher, watches them do the steps of a yoga pose or pranayama. Also this will help you to avoid comparisons and competition as yoga has nothing to do with competing with others, it’s all about self-attainment. Go to the bathroom only during the resting poses like in child’s pose or downward dog’s pose. And also you need not take the teacher’s permission as it would affect the concentration of the class. But never leave the class during Savasana as it is the most important relaxation which ends the session. In case there is an emergency, try to leave as quietly as possible though it’s unlikely that it won’t disturb at least one person. It is better to inform the teacher beforehand that you won’t stay till Savasana and hence, leave prior to it by doing some short relaxation. Though these etiquettes are a must in the yoga class, one has to remember that preparation for yoga actually begins much before the session. You should take your last meal or snacks one hour before the class and thereby giving your body some time to digest it. Also avoid food which leads to flatulence or bloating. Last but not the least, ensure that you are wearing proper yoga attire that not only covers your body but also allows you to bend and stretch. Tight fitting clothes are allowed if it doesn’t restrict your body movement. Just remember that if you wear anything funny, it will also lead to disturbance in the concentration level of the yogis present in the class.